Who exactly are HMRC looking to be trailblazers and who is going to be exempt? When is it all going to start? So why the change? What is the driving force behind the proposals? Is it a desire to move the UK tax system into the 21st Century? Is it a recognition that the public want to engage in a digital and immediate way? or is it the tax gap? Well HMRC’s outpourings on the subject are many and varied and whilst many inches of print have been given over to all manner of good and valid arguments the dominating argument is the Tax Gap. HMRC believe that mandating digital records and quarterly reporting will reduce errors and carelessness by small businesses and also it is why small businesses, to include the self-employed and landlords, have been chosen to be first into the new process. So in a nutshell it’s those pesky errors and mistakes that are causing all the problems and the major culprits are those small businesses and the self-employed. As I recall some time ago HMRC drew very similar conclusions about mistakes and at the time they believed these mistakes were as a result of poor bookkeeping so they launched the Business Records Check system whereby they actually visited taxpayers and looked at their books of account or records with the stated aim to be, amongst others, to help taxpayers keep the business records they need to meet their legal responsibilities. In October 2015 the scheme was scrapped when HMRC announced “We have found that we were contacting more compliant customers than expected” It was reported on Accountingweb that 29,000 businesses had been contacted by October 2013 and not one penalty had been imposed for inadequate records. So whatever the reason MTD looks to be how taxpayers, accountants and government will in future look to settle their taxation liabilities. 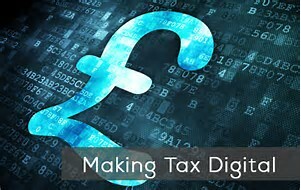 So, who exactly is drawn into the Making Tax Digital quarterly reporting regime? The list is extensive showing HMRC’s determination to ensure that the proposed effectiveness of the new regime is not compromised by significant exemptions. 1)Exemption from the quarterly reporting regime is available for those taxpayers with a Turnover of BELOW £10,000. This turnover level being below even the basic Personal Allowance means that even the smallest of self-employed taxpayers will be caught by these provisions. 2)Charities are exempt from the reporting requirements but remember that any trading subsidiary will NOT be able to claim the exemption. 3)Community Amateur Sports Clubs are also exempt. 4)Businesses in the Insolvency process are exempt BUT HMRC have indicated that going forward they hope to bring them into the reporting regime, so it could be a short lived exemption. From 6 April 2018 Sole-traders and Partnerships are the first to join the party and will start their quarterly reporting for the first accounting period starting after 5th April 2019 as long as their turnover is above the Vat registration threshold. Those with a turnover below the Vat registration threshold will start from April 2020 on a voluntary basis. Vat reports, or as they are called at present Vat Returns, will have to be filed from WITHIN digital software. There will be no facility to file a Return via the Gateway.Sole-Traders and Partnerships with turnovers above the £10k exemption threshold and below the Vat Registration threshold will start making their quarterly reports for accounting periods starting after April 2020 on a voluntary basis. Limited companies and Partnerships with turnovers in excess of £10m will join in the Quarterly Reporting Regime. As we know, we are still awaiting information about our Limited Company clients and many accountants are saying “there is plenty of time ‘till April 2020” but is that the case for all our Limited Company clients? Remember and factor in the April 2019 Vat Reporting commencement date because, if you have a Limited Company client that maintains manual records, who is also Vat Registered, then they need to be moved over to a digital system a year earlier simply to fulfill their Vat obligations.So what do we know about the information to be filed when we have to start making the reports? Depending on your turnover businesses will start their quarterly updating with effect from the first accounting period after the relevant 5th April, so if your year end is 30th August and you have to start quarterly updating from April 2019 as your turnover is above the Vat threshold, you enter the scheme as it were from 1st September 2019 with your first return being 1st September 2018 to 30th November 2019, and quarterly thereafter. So for tax year 2019/20 its Self-Assessment for year to 31st August 2019 and for 2020/21 No Tax Return as 31st August 2020 fully covered by quarterly updates. 31st March or 5th April: Smaller clients can get an extra year if they have a 31st March year end as the first accounting period after their MTDfB start date of 6th April 2020 is actually 1st April 2021 to 31st March 2022 so their first quarterly Return would be 1st March 2021 to 31st May 2021. 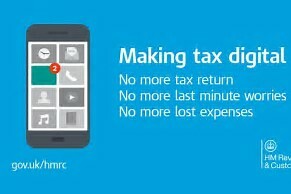 HMRC may well change this so keep an eye open. The data to be filed will mirror the present Self Assessment return headings we are all familiar with. Those capable by virtue of their turnover to presently file a three line digest will be able to equally file a three line digest for their quarterly return. There is no mandation on digital images of invoices or receipts. Paper in a file is fine and the business can mix and match if they wish.Where records are kept in the Cloud the business needs to retain ownership and access for the minimum 6 years. Landlords will not have to maintain individual records per property and they can amalgamate them all into one account of they wish. For Landlords with joint let property HMRC will not legislate for a nominated owner to act as in a partnership so each joint owner will be responsible for their own share. Nominated Partners will be responsible for providing the quarterly updates on behalf of the partnership and there will be provisions for HMRC to nominate a partner if none steps forward as it were. Sub-Contractors will have to maintain their records under the MTDfB regulations and to provide the quarterly updates which will include tax paid under CIS. Interestingly HMRC have agreed that MTDfB quarterly updates for Capital Gains should be optional and recommend deferring until the end of the year. Regarding non-deductible items HMRC believe the software should be flexible enough to allow for the entry of non-deductible items at every quarter OR left until the year end and this is where the fabled “nudges and prompts” are supposed to come into their own. So what about Accounting Adjustments like stocks and WIP? Again, HMRC say basically it’s up to the business quarterly or at the year-end will be acceptable. Interestingly HMRC have come out firmly on the side of the Year end for Loss Relief Claims or Farmers Averaging and Authors Averaging etc. Which let’s be honest is no great shock. Personal Allowances will be spread over the quarterly Returns having been allocated firstly against PAYE income where available. There will be a one month deadline to file the quarterly update and that one month’s grace will also apply to the vat update. The additional 3 days that are available to actually pay ones vat will continue, but only for the payment, the filing will only attract a one month deadline. To allow for taxpayers to actually have a holiday it is possible that a taxpayer could submit a quarters update up to 10 days before the quarter actually ends. There will be an end of year compliance report to make, which is separate from the regular updates and this has to be filed by the sooner of 10 months after the last day of the period of account or 31 January as at present. This is where accounting adjustments, capital allowances losses etc. are to be claimed. Landlords can opt to use cash accounting and joint owners can make their own individual choices. HOWEVER, Husband and Wife and civil partner joint owners have to account on the same basis. HMRC will permit voluntary pay as you go payments to be made and the taxpayer can decide how many, how often and how much to pay including one-off payments. There will be no such thing as a missed voluntary payment and they will be repayable on demand to their bank or card. HMRC will allocate payments against total liabilities NOT a specific liability. If a repayment is requested within 30 days of a liability becoming due a message is sent about the upcoming liability, If repayment is requested within 7 days of a liability being due the repayment will be restricted. If a taxpayer has been subject to an enforcement order within 12 months HMRC will not repaybeyond an amount due within 30 days. HMRC will make it possible for third parties to make payments on behalf of a taxpayer. There will be NO interest paid on any voluntary payments. HMRC will replicate the enquiry powers and attach them to the End of Year Compliance declaration. There is no intention to make enquiries into quarterly update but there will be a compliance regime. The Consultation “Sanctions for late submission and payment” was issued on 20th March with a closing date of 11th June and hopefully shortly thereafter we will be appraised of their findings.